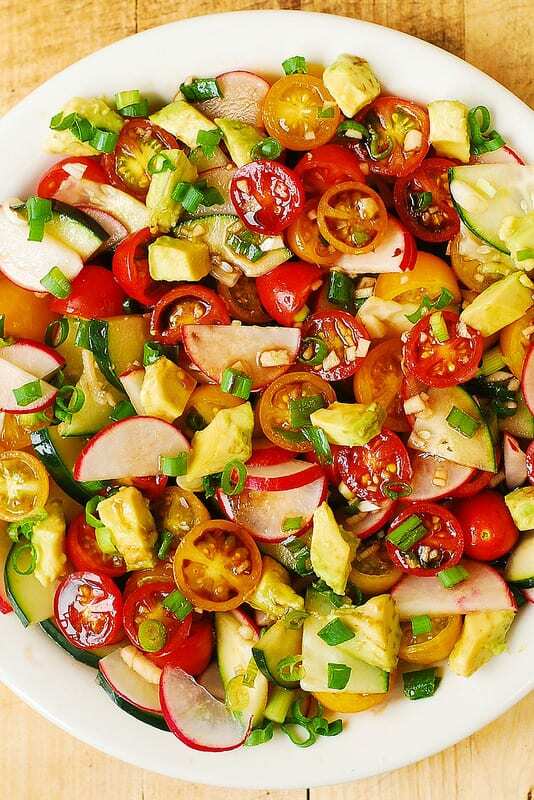 Radish Avocado Salad with Cherry Tomatoes, Cucumber, Green Onions + easy homemade Balsamic Vinaigrette with Garlic. Healthy, Mediterranean Style Recipe, gluten free, full of fiber and nutrients. Perfect Summer recipe! So easy to make. This is a great recipe to use radish. Radish is so good for you, and this healthy, edible root vegetable should not be ignored! It should be on your grocery shopping list. 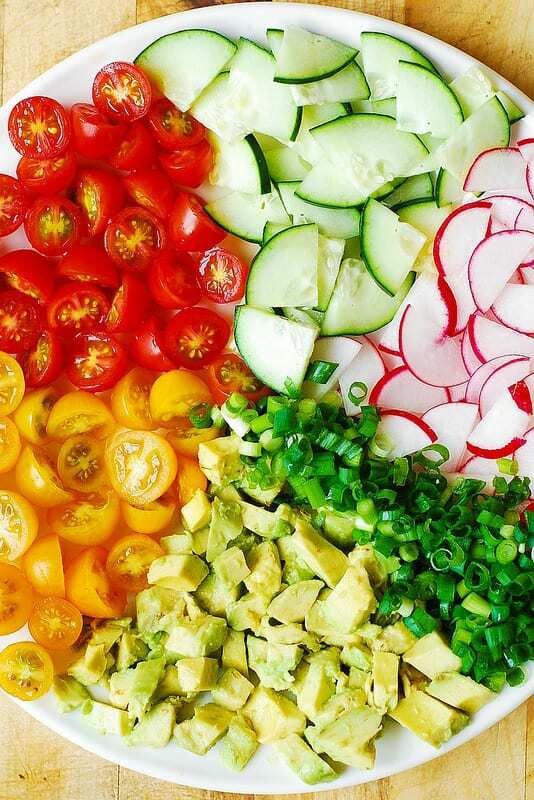 This is a great salad to use it! Enjoy! 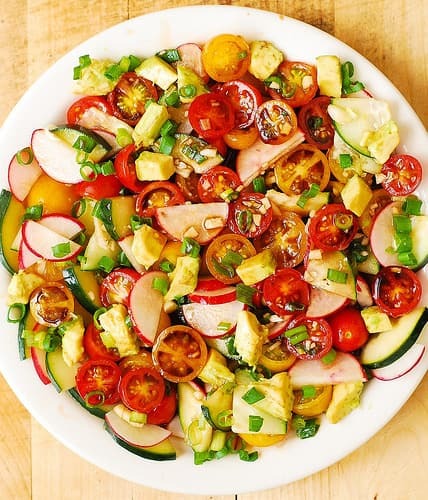 In a large bowl, combine halved red and yellow grape or cherry tomatoes, diced avocado, thinly sliced cucumber, chopped green onions and thinly sliced radishes. 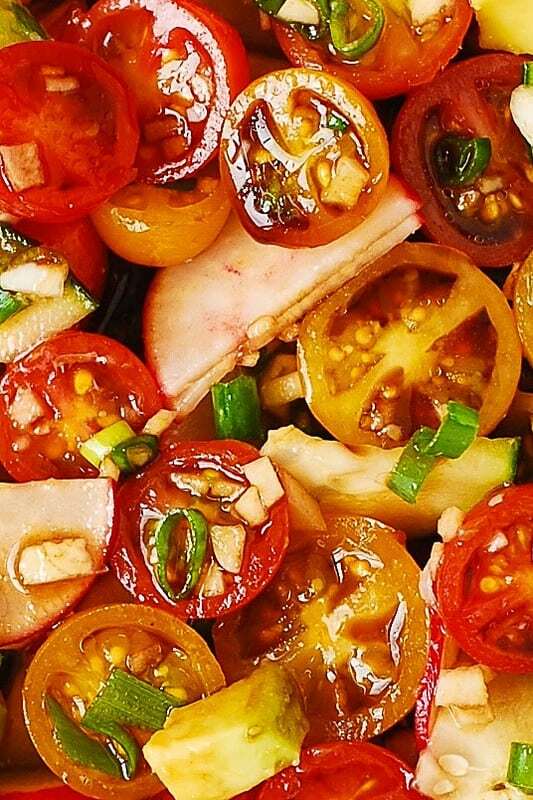 In a small bowl, make a salad dressing: whisk olive oil, balsamic vinegar, honey and minced garlic until nice and smooth. Add the salad dressing to the large bowl with salad, sprinkle with a small amount of salt, and toss to combine. Taste and season with more salt, if needed.